The conferences put on by AllThingsD tend to be a bit sedate - Walt Mossberg gets on stage with some Very Important People and picks their brain in front of a live audience. Not so with tonight's interview of Motorola CEO Dennis Woodside and Research & Development head Regina Dugan. At the D11 stage, Woodside let loose with a flurry of information about the company's plans for the remainder of the year, starting with the much-rumored X Phone. Yup, it's real, and according to the interview, the "hero device" will be released by October 2013. Woodside went on to say that the "Moto X" would be made in a Texas facility currently used to create Nokia phones, presumably through an OEM hardware partner. The facility outside of Fort Worth has about 2,000 employees. At least some components will come from overseas manufacturers, including the processor and OLED screen. But the CEO said that 70% of the phone would be made in the U.S.A. - a big deal for an American company, now that Apple is making headlines about US manufacturing. We are owned by Google so there are lots of areas (of Google) that support us. We have no access to Android code. We are managed by their partner managers. There is no advantage that has been conferred to us. I'd be remiss if I didn't mention the fact that Google Chairman Eric Schmidt was talking up "phenomenal" upcoming Motorola products at another AllThingsD conference just last month. The new phone will be the centerpiece of Motorola's next product line, and will be "carried broadly by US [cellular] carriers" - a welcome sound for AT&T, Sprint, and T-Mobile customers who have been a bit underserved by the revamped RAZRs. At least part of this new product line will also arrive before October, and the rest will launch throughout the fall. Motorola will be focusing on the previously mentioned sensors and contextual awareness, battery life, device durability, and the lower part of the market, specifically targeting low-income and first-time smartphone buyers. Motorola has been a bit quiet lately, especially in the face of heavy-hitters like the HTC One and Galaxy S4. Now we know why. It may be some months before we get to see the Moto X, but it looks like the company will be pulling out all the stops. Note that it should be the first major product to be completely developed and released after the Google acquisition - internal separation or no, you can bet the big G will have at least some input on both the software and hardware front. The previously-spotted "Xfone" doesn't seem to fit this lofty bill. The rest of the D11 interview included some interesting conceptual R&D from Dugan, including electronic tattoos used for user authentication, and microchips in pills used to create a whole-body token. You can read the whole thing in the link below. Update: Motorola has released a short PR statement after the interview. Note the wording below (our emphasis added in bold) citing a summer release for the Moto X. 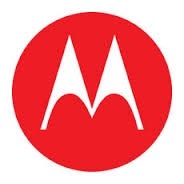 Today at the AllThingsD conference Dennis Woodside revealed how we are reinventing Motorola through a portfolio of products starting with Moto X, a new flagship smartphone that will be designed, engineered and assembled in the USA. We’re not talking about just a handful of units either -- available this summer, every Moto X sold in the USA will be assembled in Fort Worth, Texas, making it the first smartphone ever assembled domestically.